Alterna BAMBOO Smooth Anti-Breakage Thermal Protectant Spray~4.2 oz***NEW,FRESH! 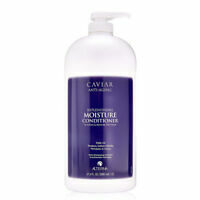 alterna caviar moisture shampoo and conditioner duo 8.5oz Each FREE SHIPPING! ALTERNA Caviar Repair Instant Recovery Conditioner Protein Building 33.8 Oz.